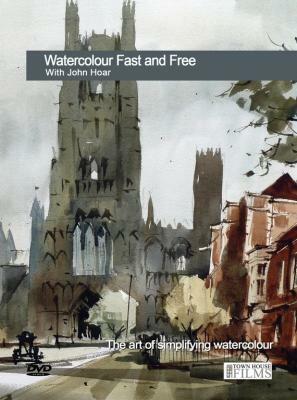 John Hoar is the master of fast flowing washes and impressionistic watercolour landscapes. In this DVD he travels from his home in North Devon to the beautiful Fenland City of Ely in Cambridgeshire with its picturesque riverside, winding backstreets and stunning cathedral to paint four full demonstrations. Using a limited palette John creates exciting paintings that crackle with energy – and painted in his own inimitable style. He reveals how to distil an often complex scene into a simplified watercolour masterpiece.